Photo courtesy of Elite Sport Images. AFL Sydney Men’s Representative side showed their strength against a competitive Black Diamond AFL outfit, running out 26-point winners after a dominant final quarter. In great conditions for football, AFL Sydney managed to end BDAFL’s four-game representative winning streak with a 17.12.114 to 14.4.88 win in Tumbi Umbi. Mark Weekes opened the scoring for the match with a lovely crumbed goal dribbled through from about 30 metres out. It would be AFL Sydney’s only goal for the quarter, as missed chances saw them down by 12-points at quarter time. Six goals in the opening twelve minutes of the second quarter put AFL Sydney up by 19-points as they threatened to run away with it. 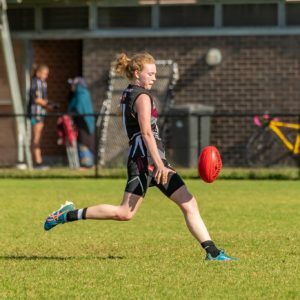 However, relentless pressure from BDAFL, including four late goals, meant they were able to hold a four-point lead going into the second half. A feature of AFL Sydney’s gameplay was their rebound from halfback, as they were able to consistently get service to their talls in the forward 50. They capitalised on this early in the third, with Ben Zoppo kicking two early majors. This was followed by another goal to Chris Weekes and AFL Sydney were beginning to get on top with a 13-point lead going into the final quarter. 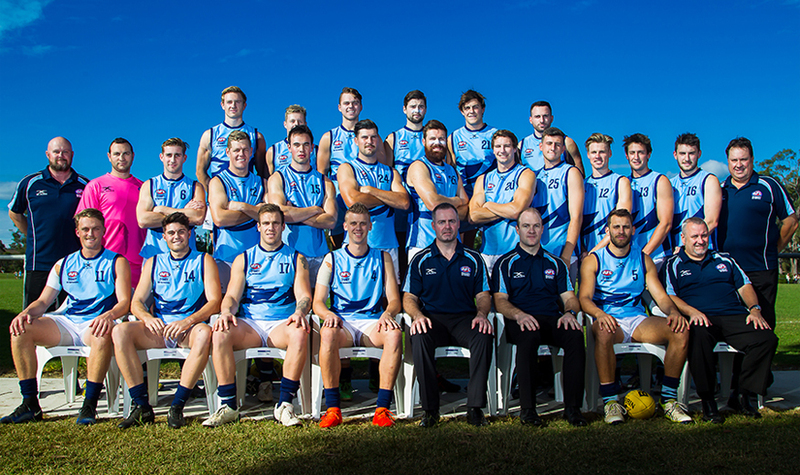 AFL Sydney withstood an early onslaught from BDAFL to kick away at the end of the quarter. 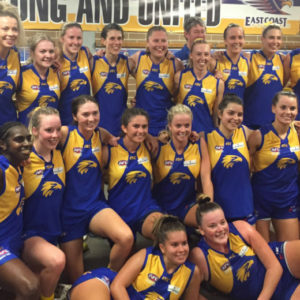 Their experience shone through, kicking four of the final five goals of the game to win by 26-points. 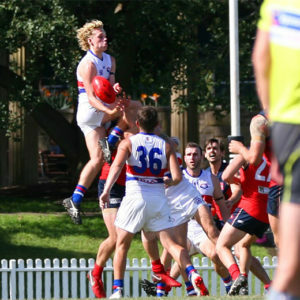 AFL Sydney’s rover, Shaun Crane was awarded Best on Ground after a supreme performance that saw him dominant at the breakdown. His day was helped by some excellent work from ruckman, Andrew Browning as well as teammates, Kyle Devlin and Daniel Schacher. 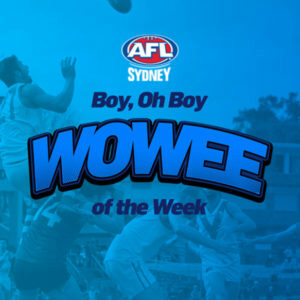 The potency of AFL Sydney’s forward line was also a standout with Wayd Blackburne, Ben Zoppo, Karl Merson, and Mark Weekes all kicking three goals. Tom Larby and Theo Moraitis both kicked two. BDAFL put in a great performance, with Patrick McMahon leading the way with five goals, whilst Conor Haswell played an important role disrupting many of AFL Sydney’s attacks forward. The game was a great example of the spectacle of representative football with both teams putting everything on the line to try and get the win. In the end the experience of AFL Sydney was the only thing between them as they closed out the game.